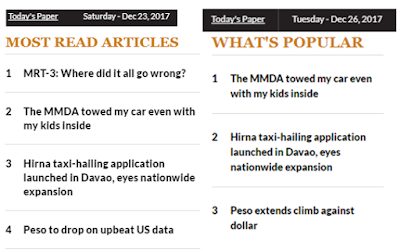 My article on MMDA towing of my car last December 21, 2017 was popular, it was #2 most read article that weekend, then became #1 the next week, Monday to Wednesday. There were many shares and re-shares in fb, other social media. 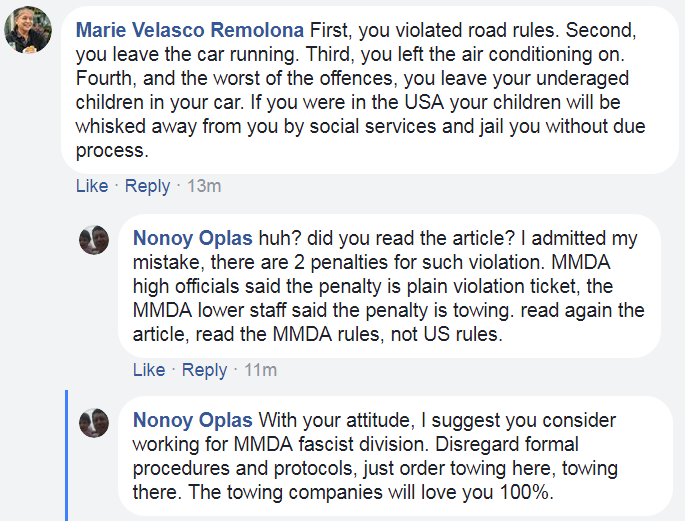 Many readers were angry at the MMDA but a few directed their ire against me. 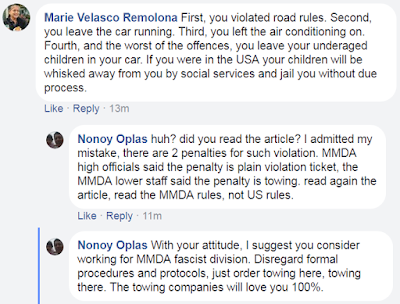 Like this woman who commented on Mahar Mangahas' wall when Mahar shared my article. Then on twitter, another low-life mind posted this. I did not reply to it anymore, pointless to do so. My follow up article in BWorld was questioning the state's "right" to confiscate private property which in this case, is the towing and impounding of private vehicles even for mundane reason/s.